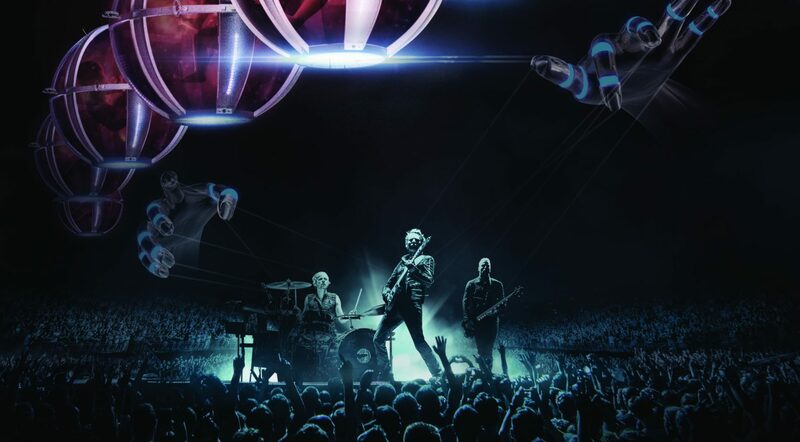 Muse have announced plans to release their ambitious ‘Drones World Tour’ to cinemas worldwide on July 12 for one night only, through Trafalgar Releasing. 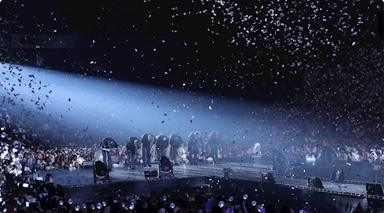 Exclusive screenings will bring the globally renowned, multi-platinum-selling band and their Drones ‘in the round’ spectacular to the big screen. Tickets will go on sale by May 3rd. For more information, including screening locations, please visit – musedrones.film. Filmed and recorded over multiple tour dates in 2016, the ‘Drones World Tour‘ will showcase Muse’s career-spanning hits including ‘Psycho’, ‘Madness’, ‘Uprising’, ‘Plug in Baby’, ‘Supermassive Black Hole’ and ‘Knights of Cydonia’ amongst others. The film contains never-before-seen special effects, perfectly complimenting the awe inspiring level of creative stage production Muse fans have come to expect, ensuring the ultimate audio / visual sensory experience. The New York Times has described the Muse live experience as “an endless build-up, heading for one peak after another – is what a Muse concert sets out to deliver by every means available”. The symbiosis between humanity and technology has always been something I am interested by. Drones just seem to be a very interesting modern metaphor for what that represents…You want to leave people with the idea that they ask the question themselves about the role of technology in our lives and whether it’s a good thing or a bad thing. We’re delighted to be working on this innovative and unforgettable show from Muse, a group that time and again illustrate that they are one of the world’s best live bands. The concert film deserves to be seen in the best possible way, in cinemas on the big screen together with other Muse fans. We look forward to collaborating with the band, their management team and label across this release.